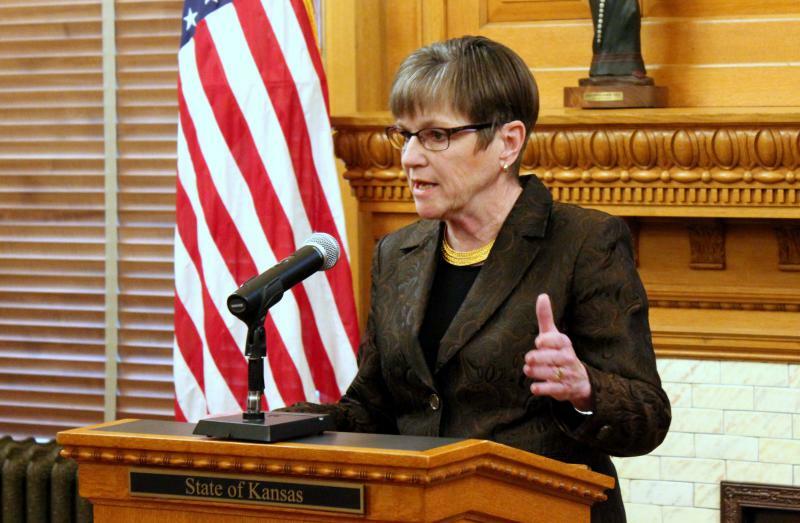 Kansas tax relief bill is down, but maybe not out, after Gov. Kelly’s veto – Welcome to Wyandotte Daily! Legislative estimates say the bill would keep the state from collecting about $500 million in taxes over three years. The tax breaks would primarily benefit multinational companies with operations in Kansas. Forgoing the revenue, the governor said Monday, would hamper the state’s ability to reinvest in education, transportation and other services neglected in the wake of tax cuts signed by then-Gov. Sam Brownback in 2012. The veto is Kelly’s first as governor, and it’s indicative of the rift between the Democratic leader of the state and the conservative Republicans who control the House and Senate. They immediately branded the veto as a tax increase and a broken campaign promise. The whole debate started with the federal tax cut bill approved in 2017. Republican lawmakers pushed for changes to state tax rules to allow Kansans to continue itemizing on their state returns even if they no longer do so on their federal returns because of larger standard deductions. The bill Kelly vetoed would have also freed Kansas businesses from owing state taxes on overseas income. Republicans say the core issue is preventing a tax increase caused by the federal changes. Lawmakers had also folded into the bill a 1 percentage point cut to the food sales tax. That’s a policy many politicians, including Kelly, favor. “Governor Kelly’s campaign promises that she would decrease food sales taxes for hardworking Kansans are clearly little more than talking points,” House Majority Leader Dan Hawkins said in response to the veto. Kelly said in her veto message that it’s irresponsible to cut taxes — even taxes on food — until the state’s fiscal health stabilizes. The debate could be far from over. Republican Senate President Susan Wagle said she’d be conferring with leaders about when to attempt a veto override. Monday afternoon, the chairman of the Kansas Republican Party was already working in support of that effort. “I am calling on all legislative Republicans including those who did not originally vote for the bill to override her veto,” Chairman Mike Kuckelman said in a statement. The Kansas GOP is also gathering donations for mailings attacking Republican-turned-Democrat Sen. Dinah Sykes for voting against the tax relief package. On its first trip through the Legislature, the measure secured 76 votes in the House and 24 in the Senate. An override requires support from 84 House members and 27 senators. Democratic Rep. Kathy Wolfe Moore, from the 36th District in Kansas City, Kansas, suspects the uncertainty about the fiscal impact will keep lawmakers who opposed the bill initially from supporting an override. “I feel relatively comfortable that they won’t be able to override it,” she said. Still, parts of the bill could be resurrected as lawmakers pursue deals to fund schools and expand Medicaid. “It is a possibility that we’ll get a bargaining chip,” Wagle said. While Kelly said there’s no way she’d sign the full tax relief package in its current form, she indicated she could compromise on some pieces under the right circumstances.